An excellent addition to the formidable Beach House canon. The band’s understanding of their own head-in-the-clouds aesthetic and knowing where to sew in (or cut out) the stitches to keep their sound in a constant, albeit low-key, flux results in much more of a mesmerizing experience than would changing directions entirely. 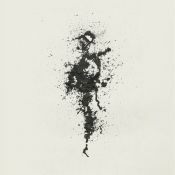 On their latest, they go grandiose with weighty tunes that explore love and melancholy. Singer Victoria Legrand has a refreshingly unshowy croon that’s one of the most seductive in pop, and her gorgeous synth drones and guitarist Alex Scally’s effects-laden riffs are exquisite. 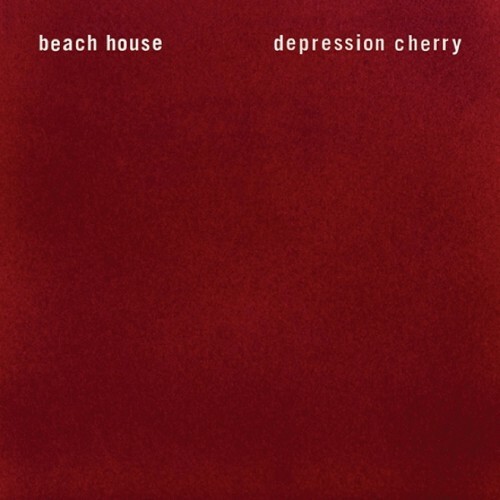 Anyone who doesn't fall for Depression Cherry's hypnotic splendour probably just isn't a Beach House fan, or didn't live with the album long enough. But those who do will recognize this album as the sweeping, grand gesture they've been working up to giving us for the last nine years. This is music that lingers in the mind and seeps into the bones. And while you can view it as melancholic, Scally and Legrand never dwell on sentimentality or allow anything to sink into despondency. Depression Cherry is a beautiful record about darker times being a point in a journey, not the final destination. It shows its creators have a level of wisdom beyond their years. There's no faulting the album - it's stunning and well worth your time and money, but it's not their masterpiece, their seminal album. With every album, someone observes—rightly—that the band has never sounded exactly this full and soaring before. Depression Cherry is a startlingly easy record to get lost in. Some have called this a detriment, causing the record to blur together, to which I say: isn’t that the point? You have to admire a band that sees dreaming as a matter of principle. Beach House’s fifth album shows the Baltimore duo turning back the clock with a minimalist collection of songs that meditate on transience and loss. Fifth effort ‘Depression Cherry’ is no different, and whilst haters could accuse the duo of being a one trick pony, you must ask yourself if you truly care when the pony is so damn gorgeous. It’s an approach they’ve taken time and again, but Depression Cherry’s particular non-specifics feel as full of breath and life as anything they’ve ever done — an album-length sigh as eloquent as a manifesto. It's a grower that demands and rewards close listening -- especially under headphones, where it unfolds like a spell cast just for the listener. It lacks the bigger pop moments of their last two albums, Bloom and Teen Dream, yet by paring down the drums and allowing themselves to play more quietly, the Baltimore duo somehow increase their impressive ability to sound like they’re whispering each song directly into your eardrum. Like the band’s 2008 album Devotion, Depression Cherry is an impressive showcase of the kind of beauty that two musicians are capable of when stripped down to a bare-bones approach. It’s worked before, and it works again here. The whole fuzzy, sepia synth-drenched thing sits between melancholic and sugary. By reducing the scope and rediscovering the value of nuance, Beach House end up sounding bigger and better than ever before. Baltimore dream pop two-piece Beach House refine their sound by paring back to the essentials: strong, foregrounded melodies beautifully sung by Victoria Legrand floating over Alex Scally's billowy cloud-bed of guitar reverb, an undisruptive backbeat and synthetic pulses. Of course there’s ultimately a pervasive sense of melancholia to all of this that tempers any elation but then, nobody would have it any other way. Yet again, Beach House make sadness sound endlessly alluring. Rather than hoping for Beach House to make a bold step forward, it’s best just to appreciate the duo for what it is: an unadventurous band that has perfected a specific brand of hazy, serene dream pop and has no interest in changing. Minor sonic updates don’t entirely compensate for the lack of deep cuts, but it’s hard to fault Depression Cherry for playing to Beach House’s well-established strengths. The band shows growth, though not all of it positive, while expanding on their signature sound. Minor nitpicking aside, this is a Beach House record that sounds, above all else, like a Beach House record. The Baltimore duo's fifth album sticks to that signature sound, and go figure: A formula that might seem limiting feels instead like it can contain entire worlds. Between an arresting start and a lavish finish, the album loses steam. Billed as a back-to-the-basics approach, Depression Cherry is often languid and shapeless, its songwriting lacking the passionate force of 2012's breathtaking Bloom. Some minor, targeted deviation from the formula would have pushed Depression Cherry to an unprecedented level of novelty for the band, but as it stands, the record falls into a creeping, achromatic daze far more ambitious than it is visionary. By saying no to the traits that defined their previous LPs, Beach House have wound up in strange territory. The problem here is that ambition is villainized, when in reality getting out of their comfort zone is exactly what has allowed Beach House to surpass their bedroom pop beginnings and exceed anyone’s expectations. In returning to the familiar, Depression Cherry feels uninspired. At its heart, ‘Depression Cherry' is an album about the wonder of true happiness, with space, or the infinite used as a metaphor for love ... But it’s difficult to share the singer's awe when the musical backdrop sounds so tired. I'm struggling to understand the beach house hype tbh. For me, this album and their music in general is pretty but has nothing more to offer. It's an obvious Beach House album, but it's an honest and genuine step forward. Purchasing Depression Cherry from Amazon helps support Album of the Year. Or consider a donation?